A new Prohibition exhibition featuring a working distillery and speakeasy – known as The Underground – is now open at Las Vegas’ The Mob Museum and taking visitors on a journey back in time. Situated in the basement of the Museum, The Underground encompasses 2,814 sq. ft. and is appointed with luxurious art deco design motifs. Guests of The Underground are encouraged to ponder the time when consuming alcohol was not only a criminal act, but also bred secret watering holes – some of which became the most glamorous places to be. Speaking with Canadian Travel Press, Geoff Schumacher, senior director of content, The Mob Museum, said the Underground prohibition history exhibition, along with three other new experiences on the first floor, are designed to enhance and expand the museum’s presentation of the story of organized crime and law enforcement. A five-gallon whiskey still, an example of one of the smaller home stills used to make alcohol during Prohibition. Grape brick sign, which advertised the blocks of grape concentrate sold in grocery stores. These blocks could be combined with water to make grape juice. Of course, yeast could be added, the mixture poured into a bottle, the bottle corked and, three weeks later – home-made wine. Master distiller in residence, George Racz oversees the initial production of corn-mash moonshine in The Underground’s 60-gallon, custom-made copper-pot still. Capable of producing 250 750 ml jars of moonshine per week, the still forms the focal point of the distillery. 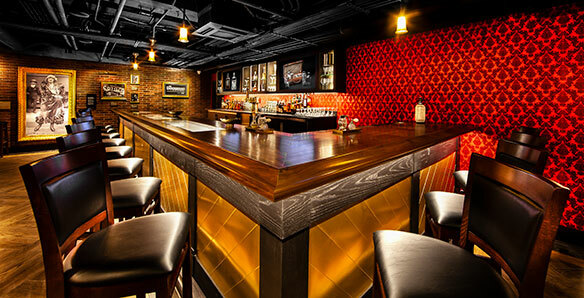 In the speakeasy, The Underground’s moonshine provides the centrepiece of the cocktail collection, while a full bar is also available. The speakeasy cocktail menu includes typical Prohibition cocktails such as Bee’s Knees, Underground Old Fashioned, Ginger Jake and Giggle Water. A variety of coffee cocktails, draft beer, bottled beer, wines by the glass and non-alcoholic cocktails are also available. 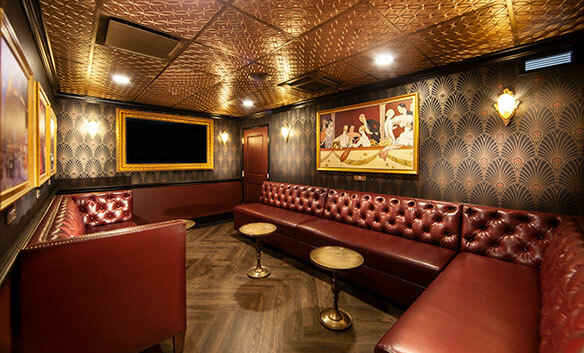 For private groups and intimate events, a VIP hideaway called “The Fitting Room,” concealed by a secret entrance off the speakeasy, can accommodate up to 12 guests. Entrance to The Underground at The Mob Museum is free with general museum admission until 5 p.m.; guests who wish to visit just The Underground after 5 p.m. may enter via an exterior side entrance free of charge until closing. The new hours of the museum, including The Underground, are 9 a.m. to 10 p.m., Sunday through Wednesday, and 9 a.m. until midnight, Thursday through Saturday.